Our company has been in the market for many years and we have a very highly trained professional team with all round solutions for your Exchange Software. Our company deals in all kinds of designs of Exchange, maintenance and support, migration and installation for any kinds of Microsoft Products and provide total server solutions. We understand how important is your business and we can help you create your own email system and make it comfortable for you to maintain your Exchange Software. Besides that we also deal with Migration and Up-gradation from the earlier versions to the latest versions without causing any difficulty to the employees or staff. Our company being very efficient and having a very experienced and qualified team, we can handle with ease the administration of any server your Exchange might have been installed with. We ensure that your Microsoft runs very fast, smoothly, securely and without any problems . Our software take extra measures to give you a spam free Microsoft Exchange Software along with back up for email, administration and security and with many other related facilities. It is very important that you get your Exchange servers maintained very frequently so that you may work without at a fast speed and also without facing any problems. It is important that your database be cleaned for the versions of 2003, 2007 and 2010 manually. Our company normally recommends the use of ESEUtil to get the database optimized and fully operational. Our professionals are expert in compressing data and in maintaining database structure inside the mailbox storage. The most important factor is to have a proper backup for Exchange Servers and without having a proper backup you are in the danger of losing valuable data from your database. The backup system is not very complicated and you can take the help Symantec or Arcserve. If you go to the run command and type NTbackup and then press OK. Now in the non-wizard mode you will see the database for exchange. First you need to click your mailbox and then your database. When you find the database for Microsoft Exchange is operating for 2003, you can start your backup. It is recommended that you take extra measures for backup to keep yourself for any future troubles. It is essential to protect and preserve communications as businesses generate and share volumes of information through e-mail. We can offer a number of benefits through e-mail archiving and discovery solution, whether it is to improve storage management , meet regulatory requirements for data retention, or lower the costs of conducting electronic discovery. You can reduce your organization's storage footprint and cost by using Symantec email archiving solutions. Symantec Enterprise Vault and Enterprise Vault cloud helps you to efficiently store, manage, and discover your organization's information, regardless of your current emails environment. 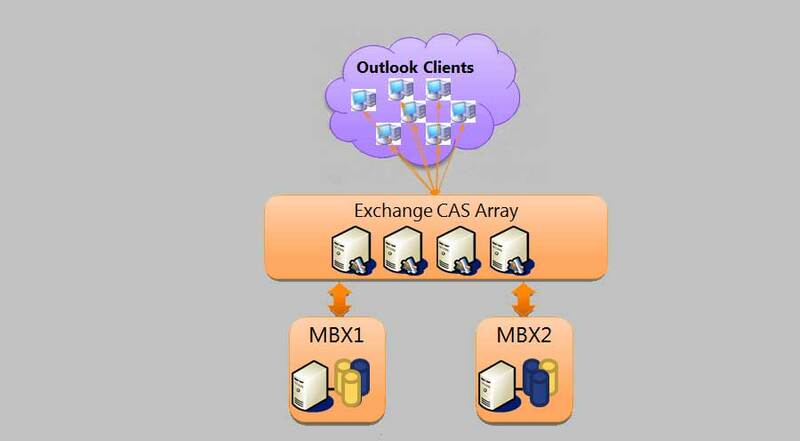 Businesses with Microsoft Exchange Servers are offered a few types of Spam Filtering with our expert team consulting. We can reduce the amount of spam emails you receive depending on the type of server you have and the version of Exchange you are running. For the past few year Microsoft has included a built-in spam filter in Exchange, but only Exchange Server 2007 has significantly improved Spam Filteration technology. Microsoft Exchange Server Emergencies can help your business with any Exchange software problems. We can help restore email services, crashed mailbox stores, deleted email and other common emergencies regardless of your Microsoft Exchange Server.